Pregnancy can be a challenging time for women with all the emotional and physical changes their bodies go through. While there is excitement to welcome a newborn into the world, it’s no secret that nine-months of morning sickness, midnight hunger pangs and mood swings can be pretty daunting too. It needs a lot of patience and care to look after the mother and the baby. While fruits are said to be nutrient-dense and cater to untimely hunger pangs, there are a bunch of them that could be avoided as they may affect pregnancy in some way or the other. Although pineapple is a super healthy fruit, it should be kept away from pregnant women. It comprises a rich amount of bromelain that may cause the softening of the cervix that may induce early labour. Moreover, eating a lot of pineapple can cause stomach problems like diarrhoea, resulting in dehydration. Grapes have heat producing properties, which can affect both the mother and the baby. It is also the presence of a compound known as resveratrol, which is known to elevate hormonal imbalance during this period. Papaya is one of the most common fruits that are forbidden in this list. Papaya is said to promote early labour and in worst case scenario, miscarriages. Papayas, usually the unripe and semi-ripe ones are believed to be rich in latex that is known to trigger uterine contractions. Bitter melon is said to be an irritant to the uterus, which can lead to premature birth or miscarriage. In fact, they contain highly toxic components like quinine, saponic glycosides and morodicine. When absorbed in the body, they can cause nausea, rash, diarrhoea and abdominal pain. You must never consume fruits that are not washed properly. The presence of pesticides, mud or any residue can give rise to infections, affecting the mother and the foetus. Make sure you wash them thoroughly under running water, especially fruits that need cutting or peeling. Cut away the bruised or damaged areas, as bacteria thrive in these spots, which make the mother and baby susceptible to infections. As an added precaution, use a vegetable brush to remove surface dirt from the fruits. Make sure you are not using detergents, soaps or bleach solutions to clean your fruits. 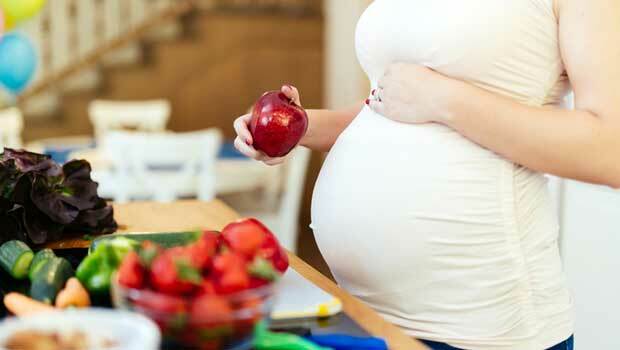 Include more and more fruits in your diet and ensure a healthy pregnancy. Make sure you consult your gynaecologist and nutritionist to alter your diet plan to birth a healthy and happy baby.